Finding accounting software is never easy. Finding nonprofit software is no walk in the park either. But finding nonprofit accounting software that you can actually afford can seem downright impossible. 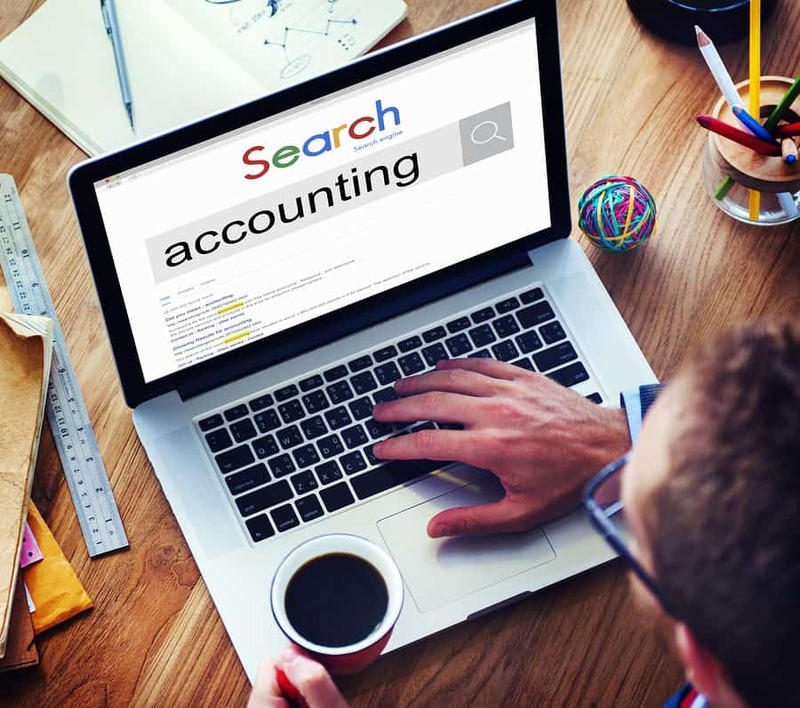 Sure there are plenty of fund accounting nonprofit options, but if your organization is looking for something easier to use and more affordable, QuickBooks Online may be the perfect way to go. While QuickBooks Online doesn’t have features that are specifically designed for nonprofits, it does have several key nonprofit integrations. With QuickBooks Online covering the accounting and a nonprofit software covering your nonprofit management, you may be able to find a great alternative to traditionally expensive, convoluted fund accounting. In this post, we’ll cover the top four nonprofit integrations for QuickBooks Online and how to choose which nonprofit software is right for you. QuickBooks Online (see our review) is one of the most popular accounting programs on the market — and for good reason. The software offers strong accounting, tons of features, and is completely mobile. This cloud-based accounting software has been giving other programs a run for their money since 2004, and since then, QuickBooks Online has grown to support over 2.2 million users. What makes QuickBooks Online such a popular choice? It’s easy to use and requires very little previous accountingÂ knowledge. ItÂ hasÂ a large feature set at an affordable price — and what features it doesn’t have are covered by 200+ integrations. While the customer service has left users wanting in the past, QuickBooks Online is working hard to improve their support. In terms of nonprofits, QuickBooks Online doesn’t offer nonprofit-specific features. When you create yourÂ QuickBooks Online account, you can mark your company as a nonprofit, which will create a customized nonprofit chart of accounts, but that’s about it. Instead, the main benefit of using QuickBooks Online for nonprofits is the strong accounting (and the nonprofit integrations, which we’ll cover in this post). For the most part, QuickBooks Online is intuitive and its features are easy to use. QuickBooks Online covers all of the features you’d expect from an accounting software, like invoicing, estimates, contact management, expense tracking, project management, time tracking, and then some. You’ll also find key accounting features like accounts payable, bank reconciliation, reports, and a chart of accounts. It’s also worth noting that QuickBooks has one of the best invoicing features out there. Not only are the templates customizable and attractive, you can also autoschedule invoices to automate your billing process. The only downside of QuickBooks Online is that some of these features are only available with the most expensive plan, and the software doesn’t support more than 25 users. See our full QuickBooks Online review for details. QuickBooks Offers three pricing plans ranging from $15/mo – $50/mo. Each tier gives you access to more user and features. There is a free 30-day trial if you’d like toÂ test the software before buying. The highest plan only supports 5 users, so you’ll have to pay extra for additional users. Payroll is also an additional $39-$99/mo depending on your plan. Luckily, QuickBooks Online often offers a discount on the Intuit website. Be sure to take advantage of this, especially because you’ll have to pay for QuickBooksÂ OnlineÂ and the nonprofit integration of your choice. Now that you have an idea of what QuickBooks is capable of and how much it costs, let’s see how your nonprofit organization can benefit from one of the QuickBooks Online nonprofit integrations. Nonprofit organizations looking for a highly customizable nonprofit software and CRM solution. Sumac is a locally-installed nonprofit software founded on the motto “do more good.” The software offers everything from basic CRM to pledges, course registration, auditions and submissions, and more. The best part about Sumac is that the software is incredibly customizable and can be tailored to fit your organization’s specific needs. Well, maybe the best part is that the basic CRM package is completely free. We’ll let you decide. Sumac has an incredible number of features that are relatively easy to use. The design of the locally-installed version of Sumac is less attractive than the other nonprofit software options in this post, but if you can look past the outdated UI, you’ll find that Sumac is easy to navigate. The software begins with basic CRM features:Â invoicing, contact management, reporting, email marketing, donation management, event management, and time tracking. These features are included in every plan. In general, users seem incredibly happy with the number of features they receive from Sumac. They also praise Sumac’s customer support, how easy the software is to use, and how customizable it is. Sumac offers four different pricing plans: Bronze, Silver, Gold, and Platinum. Each plan varies in the number of add-ons, contacts, and users available. Each plan integrates directly with QuickBooks Online to connect all of your data. Bronze:Â The Bronze plan is free and includes all basic CRM features, email support, 1 user, and up to 500 contacts. Silver: The Silver plan is $20/mo and gives you the basic CRM features, 2 add-ons, phone and email support, support for 1 user, and up to 1,000 contacts. Gold: The Gold plan is Sumac’s custom pricing option where you can add the exact number of add-ons that your organization needs. It also includes the Basic CRM features, phone and email support, unlimited users, and up to 30,000 contacts. Platinum: The Platinum plan is $400/mo and includes the basic CRM features, 5 add-ons, phone and email support, unlimited users, and unlimited contacts. If you prefer cloud-based software over locally-installed software, you can upgrade to the cloud version of Sumac for an additional $25/mo. Sumac is a great option for nonprofits who need a customizable software with ample features. Sumac has the only free nonprofit software option on this list and is also the only locally-installed option. If you are looking for a cheap nonprofit CRM, you can’t beat Sumac. Pair Sumac with QuickBooks Online and you may have a winner on your hands. To learn more about Sumac, visit their website and take the software for a spin with their free trial. You can also schedule a demo of Sumac. Kindful is a fully-featured, cloud-based nonprofit software that is used by organizations like the Special Olympics, the Boys & Girls Clubs of America, and Habitat for Humanity. Kindful has been helping nonprofits since 2011. Their motto is “your mission is our mission” and they offer tons of features to help nonprofits succeed.Â The software is intuitive with a beautiful design and offers the most integrations of any nonprofit program on this list. Kindful’s UI is both appealing and easy to use. While Kindful doesn’t have quite as many unique features as Sumac, the features it does have are done well.Â Kindful offers contact management, donation management, event management, pledges, letters, and more. Kindful is well-suited out to meet the needs of real nonprofit organizations. You can accept online donations and recurring donations, create contact groups, enter gifts, and email receipts automatically. There is also an unlimited number of customer donation pages, and donors receive their own Kindful login where they can view and manage their pledges and donations. For the most part, Kindful has positive customer reviews. Users appreciate how easy the software is to use, which saves them time so they can focus on their nonprofits.Â They also find the customer support team helpful and enjoy the 30+ integrations Kindful offers. The only downside is that the software can be a bit spendy for smaller nonprofits with a large number of contacts. Kindful offers four different pricing plans. Each plan comes with all of the same features; the only difference is the number of contacts available. Each plan integrates with QuickBooks Online as well. There is no additional charge for tech support and the only payment processing fees you pay are those charge by your specific payment processing company (i.e. Stripe, PayPal, etc.). Kindful’s UI and customer donations pages make it a great choice for nonprofits. The software offers great CRM features and good donor management, as well as a unique donor login feature. If integrations are important for your organization, Kindful has the most offerings out of all four programs in this post. To learn more about Kindful, visit their site and schedule a demo. You can also see how other real-life nonprofits are using Kindful in their customer stories. Small to medium-sized churches in need of church-specific nonprofit software. There are plenty of nonprofit programs out there that churchesÂ could make work, but Breeze wanted to make a software specifically create with churches in mind. This church management software is ideal for small to medium churches. The software is cloud-based, easy to use, and — best of all — it’s affordable. Breeze offers an impressive number of features designed specifically for churches. It allows you to manage contacts, tithes, and events, as well as online giving and volunteers. One of the features users love most about Breeze is the children’s ministry check-in feature. Breeze allows parents to check in their children to Sunday school and even lets you print name labels. You can also create custom forms to suit your church’s needs. Church members get their own Breeze login where they can view their statements and donate online. Existing Breeze users praise the software for being so easy to use that everyone in their church can learn it, no matter what level of tech experience. Users also praise the customer support and the low cost of the software. The only potential drawback we see with Breeze is that larger churches may outgrow the software’s capabilities. Breeze has a single cost of $50/mo. This includes every Breeze feature, unlimited users, phone support, email support, upgrades, and even data transfers. When it comes to churches, there are very specific needs and requirements that a software must meet. Breeze offers the key features churches need, all while maintaining an affordable price. The software is easy to use and has a beautiful UI, and you can’t top unlimited users. To see if Breeze is right for your church organization, schedule a demo or sign up for a free trial on Breeze’s website. Nonprofits in need of a comprehensive CRM solution. NeonCRM is a cloud-based nonprofit software founded back in 2004. Over 85% of NeonCRM’s staff has a nonprofit background, so they know exactly what nonprofits need. With several pricing plans and a nice selection of features, there’s a little something for everyone with this software. NeonCRM has an attractive UI that is well-organized and highly developed. A few users have complained that the software is unintuitive at times, but the majority find NeonCRM easy to use. The software offers a good number of features, including contact management, volunteer management, donations, event planning, and more. If you go with the smallest NeonCRM pricing plan, you’ll have to choose between either the fundraising or membership module, though with any other plan you get access to both. NeonCRM has good automations like automatic receipting and batch donations. You can also create custom fundraising pages and can even indicate the relationship between contacts. Like Kindful, users get their own contact login where they can view their history and manage donations. In terms of customer reviews, NeonCRM receives relatively high praise. Users appreciate the software’s ease of use and praise the customer support team. The software also offers a handy MailChimp integration. The only drawback of the software is that it can get a bit expensive. NeonCRM has three different pricing plans: Essentials, Impact, and Empower. The exact cost of each plan varies depending on how many contacts you need and if you need data entry assistance. Essentials:Â Starts at $50/mo. Must choose between fundraising or membership. Includes event management, campaigns, automatic receipts, reports, contact management, and volunteer management. Does not include a QuickBooks Online integration. Impact:Â Starts at $110/mo. Includes both fundraising and memberships. Includes all of the features from the Essentials plan, plus web forms, online store, customer survey builder, peer-to-peer fundraising, and a QuickBooks Online integration. Empower:Â Starts at $200/mo. Includes all of the features form the Impact plan, plus donor search, live chat, and visual phone support. Customer support may cost extra depending on the plan. Download NeonCRM’s pricing .pdf for all of the details. NeonCRM is a comprehensive CRM solution with a few great nonprofit additions. The software is beautifully designed and is a great choice for organizations seeking to build an appealing online presence and brand. While Neon CRM can get expensive (especially considering that the QuickBooks Online integration is limited to the two higher plans), it may still be worth it for some medium to large-sized nonprofits. Learn more about NeonCRM on their website, or contact NeonCRM directly for a free trial or demo. Which Nonprofit Software Is Right For Me? When it comes to choosing the perfect nonprofit software to integrate with QuickBooks Online for your organization, think carefully about your nonprofit’s needs. Which features do you need? How many users need to use the software? Do you need cloud-based software or mobile apps? All of these factors, as well as your budget, will determine which nonprofit software is right for. QuickBooks Online does have two other donor management integrations — Method:Donor and Donor Receipts — if you need an even simpler solution. That said, Sumac, Kindful, Breeze, and NeonCRM are your best bets if you want to integrate fully-featured nonprofit software with QuickBooks online. If you’re still not certain if QuickBooks Online is the best choice for your nonprofit, take a look at our Top 10 Best Nonprofit Accounting Apps For 2018 for more options. The post Best Nonprofit Integrations For QuickBooks Online appeared first on Merchant Maverick. With regards to shopping cart software platforms, Shopify may be the someone to beat. This hugely popular eCommerce software serves over 400,000 retailers worldwide and it has facilitated $34 billion of sales since its founding. Shopify’s easy-to-use design and cost-effective cost turn it into a highly accessible option for small company proprietors who wish to expand online. With prices options varying from the couple of dollars per month to some couple of 1000, Shopify can certainly accommodate growing companies. Just how much does Shopify cost? The reply is, in a nutshell, “it depends.” Keep studying for an entire introduction to what Shopify offers each and every cost point and then any additional expenses you need to get ready for. As you can tell, prices isn’t based on the amount of products you list or by the quantity of bandwidth and storage you’ll need. Rather, prices is determined by the amount of staff accounts you’ll need. Each step-up in prices provides you with use of more admin seats (and much more advanced features). While Shopify doesn’t charge for bandwidth overages, they’ve maintained their transaction charges through the years. Greater level plans take advantage of lower transaction charges. Or, if you opt to use Shopify Payments as the payment processor, you could have individuals transaction charges waived entirely. Note: Not everybody is qualified for Shopify Payments, so don’t bank on individuals transaction charges disappearing. Shopify comes with a level cheaper plan, known as Shopify Lite, that is only $9 monthly. Shopify Lite enables you to sell on Facebook, add products to some blog or website with buy buttons, and accept payments. However, it doesn’t have an online shop builder, therefore we won’t concentrate on it in the following paragraphs. To get use of more built-in features, you’ll need to pay a little more monthly. The next phase up, the $79/month plan, enables you to sell gift certificates, both physical and digital. Additionally, you’ll get access to better professional reports as well as an abandoned cart recovery tool. The Advanced Shopify Plan’s considerably more costly at $299 monthly. The extra cost provides you with not just 15 staff accounts minimizing transaction charges, but the best discounts on Shopify Shipping. In addition to this, you can get a sophisticated report builder and you can feature third-party calculated shipping rates at checkout. Our bargain-hunting readers might have observed that Shopify offers discounted rates to retailers who invest in their software for any year or even more. If you buy a yearlong membership with Shopify, they’ll discount your rates 10%. If you purchase 2 yrs out, the discount is 20%. I’m able to already hear you Costco shoppers and coupon clippers celebrating, but prior to going purchase Shopify for any year or even more, I highly recommend you move back. Don’t invest in a whole year of Shopify unless of course you’re very sure the software will meet your needs. I frequently see complaints from retailers who dedicated to an application too soon (this is correct of numerous software packages, not only Shopify). They’re frustrated the software doesn’t work for his or her business, and they’re not able to obtain a 100 % refund around the purchase. Make an effort to to sign up for Shopify’s monthly plan not less than twelve months prior to going all in. That provides you with a high probability to make certain the woking platform works for the company. That annual discount only helps you save $34/year around the Fundamental Plan, anyway. What’s Track Of Shopify Plus? If you’ve looked far into Shopify, you’ve likely heard reference to Shopify Plus. Shopify Plus is definitely an enterprise level offering for retailers who require scalability, greater support levels, and server abilities. Shopify Plus is meant for retailers who sell over $500K each year. This platform are designed for as much as 10,000 checkouts each minute, and offers 13+ PB of storage and also over 29,000 CPU cores. Whenever you join Shopify Plus, you’ll have individuals annoying transaction charges waived and receive premium support having a dedicated account manager. Prices for Shopify Plus varies based upon your company’s needs, but you need to know that plans start at $2K monthly. For more info about Shopify Plus, check our full review. Although SaaS solutions take pride in being all-inclusive, that monthly subscription isn’t the only expense involved with running your web store. Shopify is a superb store-building software with regards to fundamental features. However, this cart isn’t perfect and it has lots of space for improvement with regards to advanced features. To be able to build-your Shopify store and access advanced features, it’s important to add-on a couple of extensions. Opt for integrating with third-party solutions for shipping software, CRM software, marketplace connections, and accounting software. Many of these add-ons will definitely cost yet another fee every month. It is money to earn money. To be able to accept online payments out of your customers, you’ll have to enroll in a repayment processor or credit card merchant account. These types of services have a small cut of every transaction they process, frequently additionally to some fee every month. To understand more about payment processors and merchant services, check out our comparison page or download our free eBook, The Beginner’s Help guide to Payment Processing. Although Shopify offers numerous free styles with excellent website design tools, you might not enjoy Shopify’s free options. Within this situation, you’ll need to do a number of the next: buy a premium theme, create your own theme, or purchase anyone to build a website for you personally. These options can rapidly become costly. It may be tough to get multiple software systems to be effective together. Sometimes, you’ll need a specialist to part of. Shopify experts are for sale to hire. The price of their assistance varies from a couple of $ 100 in to the thousands. What advanced features are you able to add-on? The number of user seats do you want? What else could you afford at the moment? It’s also wise to join a totally free trial of Shopify to make certain the program works seamlessly together with your business. Upload your product or service, try out the look tools, and get in touch with to customer support. And don’t forget, if you choose to register, always opt for the monthly plan first. For additional info on Shopify’s features, design tools, and customer support mind on to our full review. Or, to determine the way it stacks facing your competition, try our comparison page.